Northwood House, a magnificent Grade II* listed late Georgian manor house set in a 20 acre park, is the main venue and weekend box office for the Literary Festival. Occupying a prime position above Cowes, the star listing is for the House’s incredible painted function rooms where the talks take place. Purchased by George Ward in 1793 and extended and improved by his heir, George Henry Ward, the House has a varied and interesting past including hosting elaborate entertainments for royalty and Victorian history, serving as a convent and acting as a convalescent VAD hospital in the First World War. 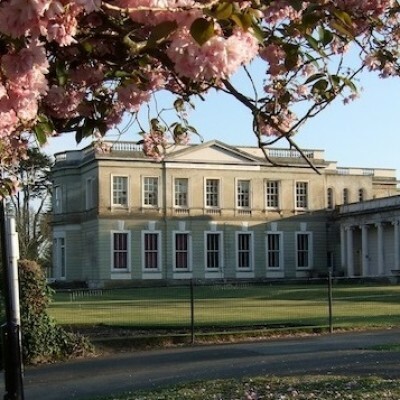 The House and Park were gifted to Cowes Urban District in 1929. Today the estate is the responsibility of Northwood House Charitable Trust Company Limited. Founded on 1 June 1815 in the Thatched House Tavern in St James’s, London as The Yacht Club by 42 gentlemen interested in sea yachting, the original members decided to meet in London and in Cowes twice a year, to discuss yachting over dinner. Membership was restricted to those who owned a vessel not under 10 tons. Today this is interpreted as any gentleman or lady, “actively interested in yachting”. The Earl of Yarborough, later first Commodore of the Yacht Club, welcomed the Prince Regent as a member in 1817. In 1820, when the Prince Regent became George IV, it was renamed the Royal Yacht Club. The Club started organising racing as a principal feature of the annual regatta, which is now known as Cowes Week. In 1833 William IV renamed the club, The Royal Yacht Squadron. Its association with the Royal Navy began early and Nelson’s Captain at Trafalgar, Admiral Sir Thomas Hardy, headed the list of Naval members. 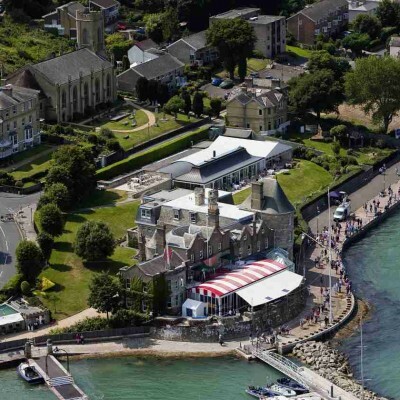 The Royal Yacht Squadron celebrated it’s Bicentenary in 2015. It remains one of the most prestigious yacht clubs in the world. The clubhouse is located in Cowes Castle on the Isle of Wight, the club’s patron is Queen Elizabeth II and the club’s Admiral is Prince Philip.